Paradise is no longer a place up in the clouds, it is a place that goes by the name of ‘Abaca Villas’. 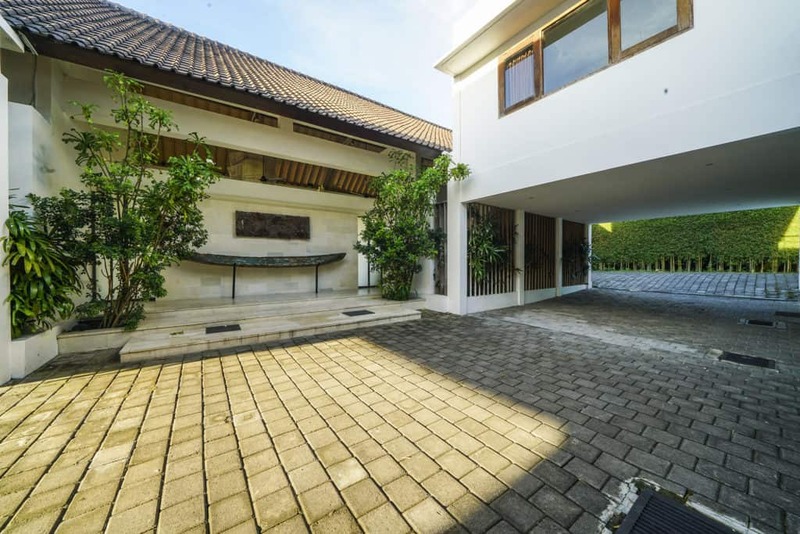 This large capacity luxury villa in Seminyak is the combination of Villa Iluh, Villa Kadek and Villa Nyoman. These 3 large luxury villas are interconnected through gates in the gardens and when renting out the entire estate, you will have one massive paradise-like garden with 4 swimming(!!!) pools, 3 large living pavilions and a private event space for parties, yoga classes and events. Planning a tropical getaway with the whole family or are you seeking an amazing venue to host your special event in Seminyak? 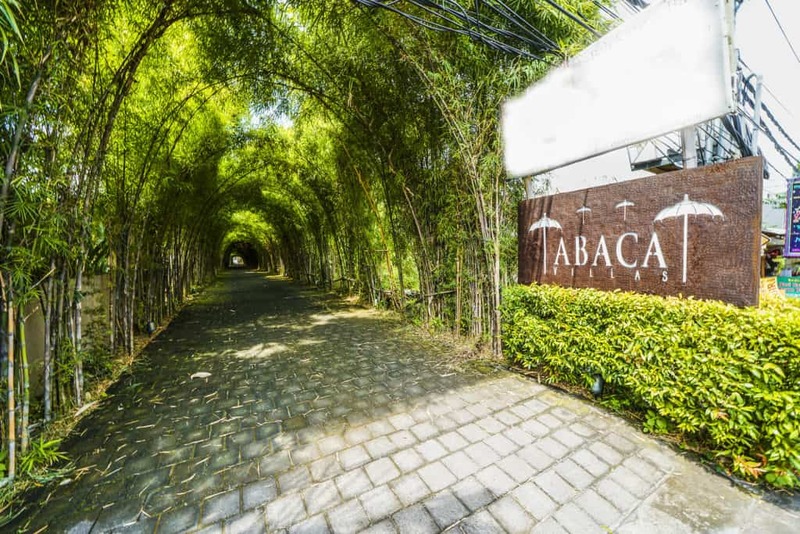 You won’t find any place more suitable than Abaca Villas. 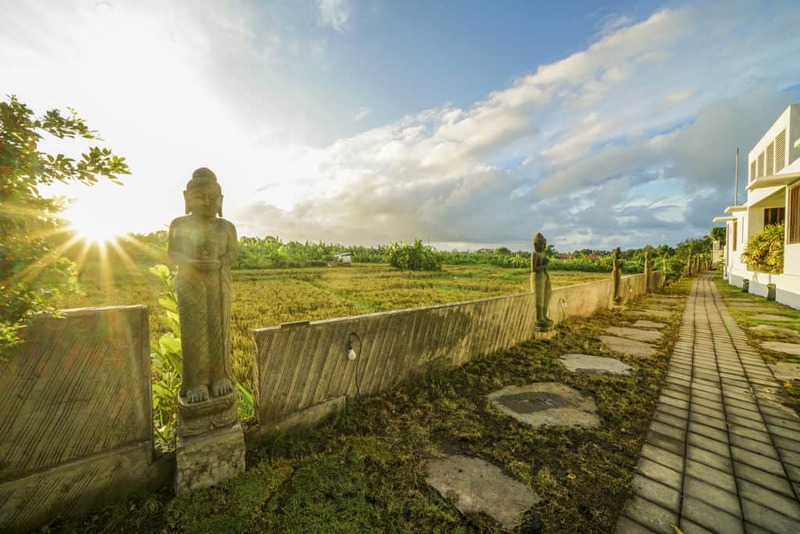 The estate is set amidst rice paddy fields and yet, it is located in the most upscale area of Seminyak, close to the beach, cafes and restaurants. 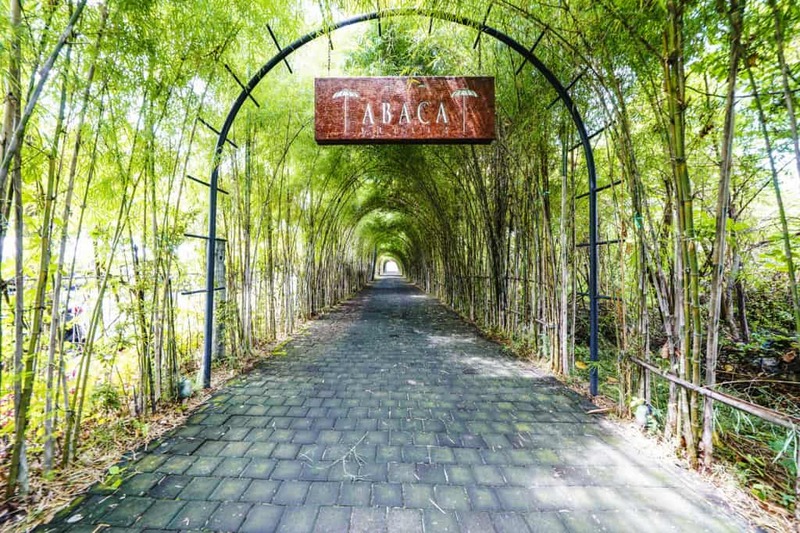 What happens when you rent the entire Abaca Villas Complex? You will get access to a private hidden paradise for your travelling group of up to 40 overnight guests. The 3 luxury villas are interconnected through garden gates and when these heavenly gates are opened, a paradise reveals itself: one massive rice-paddy-view garden with no less than 4 huge private swimming pools. It is something truly spectacular and very unique in a popular beach town like Seminyak. 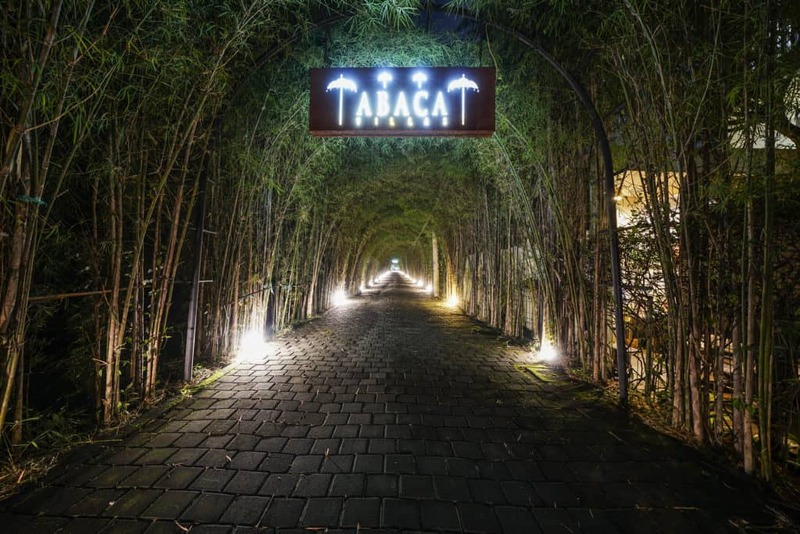 Designed with a great love for Bali and tropical island living, Abaca Villas has got the perfect blend of traditional charm, contemporary style, a hot location in Seminyak, modern entertainment facilities and luxury amenities. 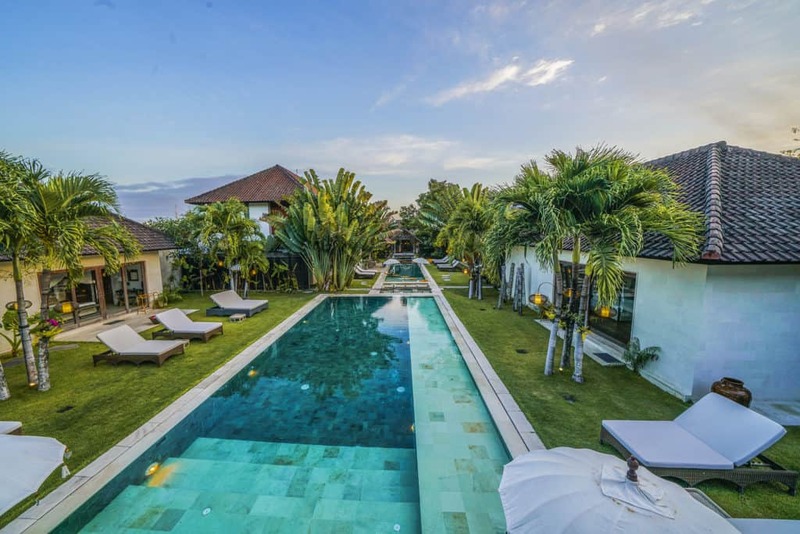 You can now rest your search for the ultimate event villa in Seminyak. You have found the perfect place! Note: even when renting less that 16 bedrooms, the villa complex remains fully private, we simply lock the access to the remaining bedroom(s). Very beautiful place, like a haven in the middle of the abounding landscape, between rice field and town in the Balinese. What I like is the organisation of the space that we discover at the end of a long plant tunnel. It’s a real surprise. The rooms are organised around swimming pools, space is generous, serenity reigns. Discreet and efficient service reinforces this feeling. I loved. Located in the festive and commercial area of Bali, Abaca Villas is an amazing and unexpected paradise : we really have the feeling to be in the middle of the rice fields, between the blue sky and the green trees. An impression of quietness and happiness. Abaca Villas really made the holidays a wonderful, unbelievable and unforgettable journey. We just returned from a week here with friends to celebrate my fortieth birthday. 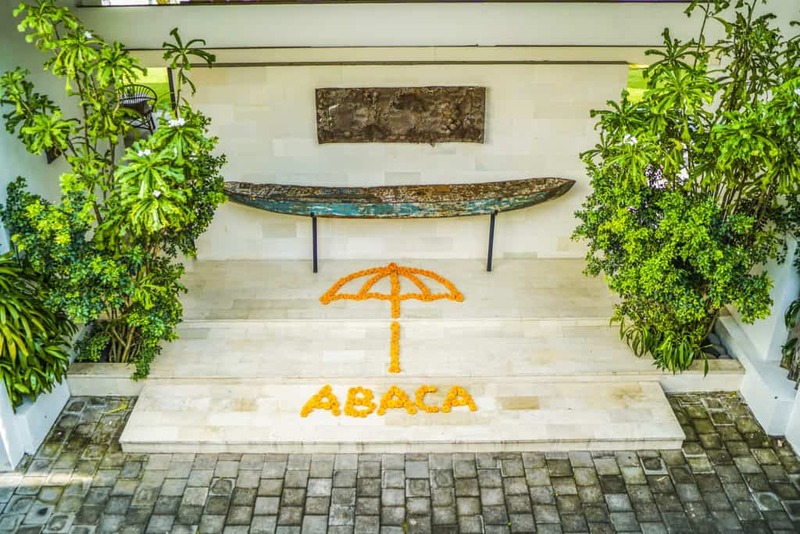 It was a very special moment and Abaca Villas managed to make it above expectation. We came to celebrate and relax and we were not disappointed. The service, the accommodations and the location are all perfect. Thank you all !